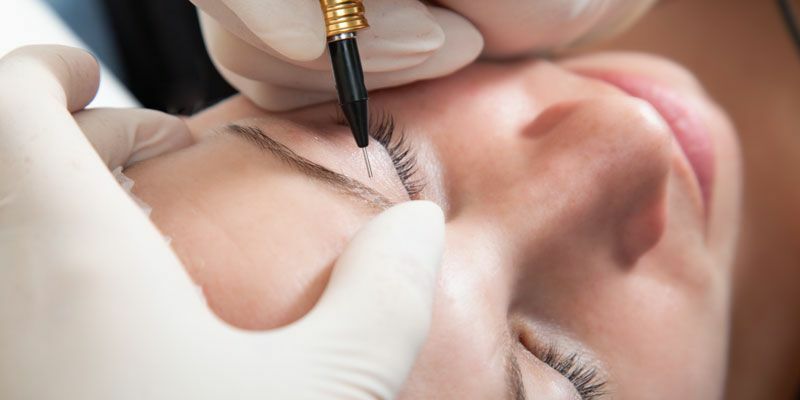 PERMANENT MAKEUP, also referred to as micro-pigmentation, is the perfect solution for the woman who is too busy, is allergic to conventional makeup or has trouble seeing well enough to apply her own makeup. PERMANENT MAKEUP is applied as an enhancement to your natural features unlike conventional make-up that could become outdated as trends change. The pigments used in Cosmetic Tattooing have been specially formulated for cosmetic application. NOT to be compared with traditional tattooing, in which permanent skin dyes and inks are placed deep into the skin. The Hand Method is a technique used at our day spa in St. Pete Beach to manually apply pigment into the skin. With no electrical devices involved, the process is very controlled, gentle and safe. Results are extremely natural looking. Each application is applied as an art, carefully and meticulously. All procedures include a complimentary consultation and a patch test. For those with little or no brows, soft colors are applied to create brows that frame your eyes. At that time, we will decide which application is best for you. Microshading for those who want brows to look thick and filled in. Microblading for those who want a natural look and not filled in. Microfeathering for those who want to lightly fill out the brows they already have. For those with brows that have gaps and sparsely covered areas. Natural color is placed in your eyelashes making them appear thicker, accentuating your eyes. Lip color emphasizes your natural lip line and is blended in to give your lips a definite shape. It is also a perfect way to correct uneven lips. Full lip color will give your lips an all over color even when your lipstick has worn off. ONE TOUCH UP IS INCLUDED 3-4 weeks after initial visit. Permanent Makeup will fade due to natural skin exfoliation, sun exposure, washing and some medications. All skins are different. TOUCH UPS are usually bi-yearly or yearly and costs range between $80 to $160. Come in to our St. Pete Beach spa for professional consultation and services.